It comes in liquid form contained in a little 100ml spray bottle so it’s perfect for bringing with you if you’re travelling. You’d never think for such a small bottle, that you’d get much out of it but it actually goes a lot further than you would imagine! It arrived at just the right time, I was going to a wedding the next day so in preparation for that, I took a tanning mitt and sprayed it a couple of times with the dark liquid (which looks a little scary when you see JUST how dark it is!) and that was enough to do one area of my body, a little bit really went a long way. Also, I noticed that the smell is actually quite nice and there’s no horrible fake tan smell lingering off you ‘til you shower! It actually says on the box that it’s “boyfriend friendly” – I love that! The colour goes on really smoothly but as with any fake tan application, it’s definitely worth exfoliating and moisturising well the day before for best results. Once I did my whole body it only took a minute or two to dry. It wasn’t sticky and the guide colour was a nice dark brown that would actually work great as an instant tan if you’re in a hurry. However, I applied this before bed and as the liquid is really dark, the colour did transfer onto my night clothes and bed sheets…so make sure you don’t sleep in light coloured clothes/sheets after applying this! Next morning, I hopped into the shower to wash off the guide colour and the tan that was left was very close to what was already there, a gorgeous dark golden brown with a nice even colour and not at all patchy or orange so I was really impressed with that. I often find with some tans, when you go to wash off the guide colour, you’re only left with a light tan and could probably do with a top-up but this definitely wasn’t the case with Wow Brown, so if you prefer a dark tan that you don’t have to do 2 or more layers of, then this is the one for you. One of the best things about this tan is that the colour lasts for at least 5 days which is bloody fantastic in my book! And it fades so evenly so you could reapply without any patches of old tan lingering around to ruin your bronzed look. If I was going on holiday, I’d use this as it gives you a perfect colour and is much better than a spray tan since you can top it up yourself after a week. Not to mention how travel friendly the little bottle is! Wow Brown Ready to Glow is priced at €21.99 so it’s a great buy and I’d definitely go and repurchase this myself for “good” use. You can buy it on the Wow Brown website as well as large pharmacies nationwide. Have you tried this yet? What did you think? I couldn’t live without my fake tan but it’s such a pain to get it off sometimes, especially in areas where skin is hard. 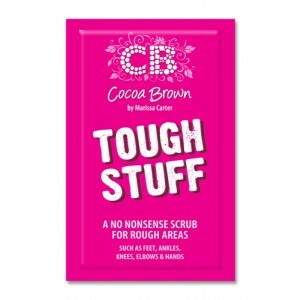 But fear not, Cocoa Brown have just released “Tough Stuff ” which is a no nonsense scrub for removing stubborn false tan from tough, hard skin areas such as hands, feet, knees and elbows. This is new to the range of Cocoa Brown by Marissa Carter products which includes their hugely popular fake tan that I also reviewed here. You can also use it to exfoliate these areas in preparation for tan application so your skin will be silky smooth and the tan will just glide on. I decided to put it to the test myself! I had week old fake tan gathering on my elbows and despite scrubbing with my regular scrub and a pair of exfoliating gloves, I just couldn’t shift it all. So, before my shower I used it on my dry skin and gave it a good scrub. The consistancy is really grainy and the colour is bright pink! It also smells quite pleasant. Bottom, After: Smooth as a baby’s bum! Pretty gross I know, (I blame “planking” at bootcamp!) 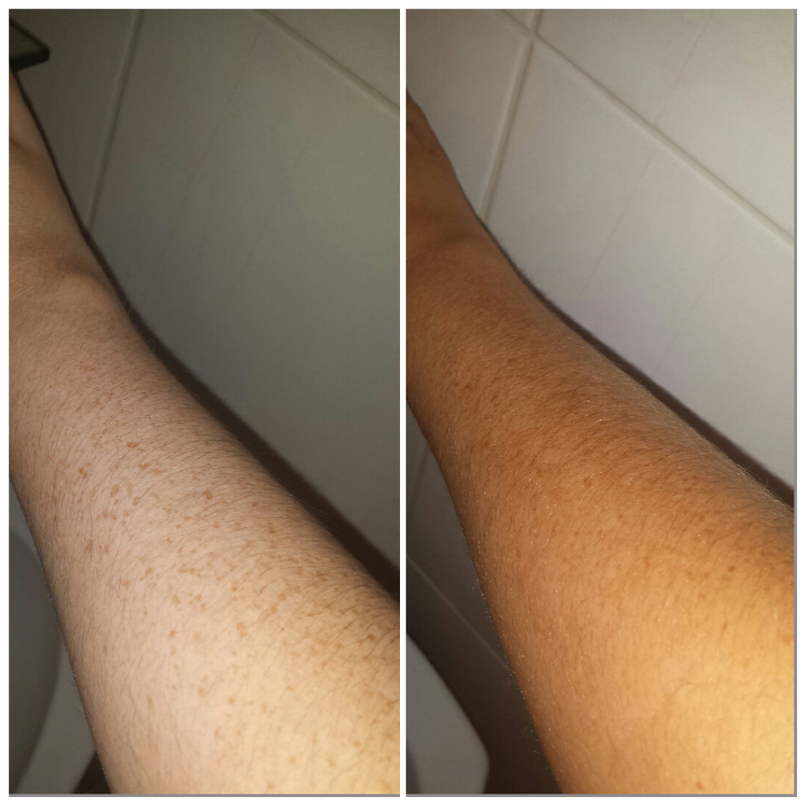 but it did the job and got rid of every last bit of dry fake tanned skin so I’m very impressed. This sample was sent to me to try but I will be repurchasing myself as it’s an absolute must if you wear fake tan and certainly lives up to it’s name! 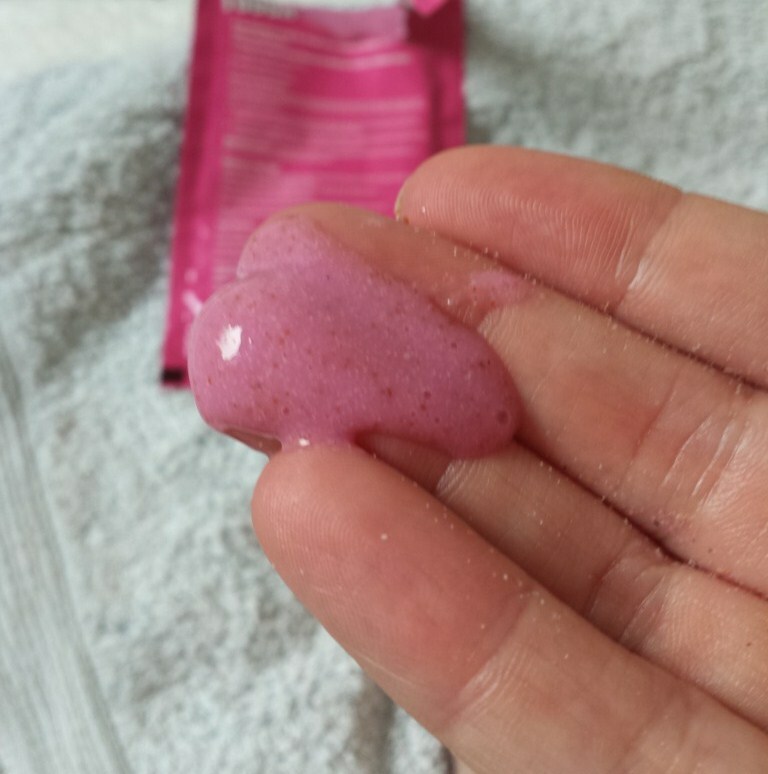 The sachets are great but it would be even better if they brought this out in a container with a pump dispenser or in a tub as it would be less messy and slightly easier to use in the shower. Despite that it’s a great product and I’d highly recommend it to all you fake tan lovers. What do you think of this? Will you give it a try? 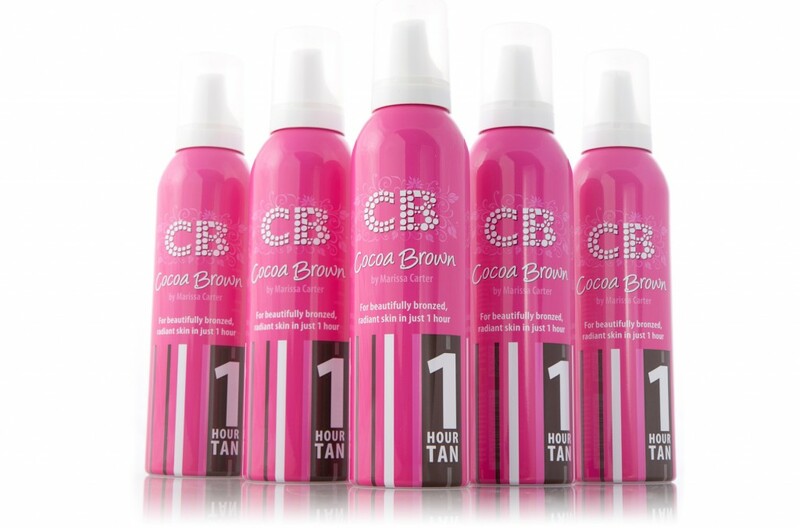 Cocoa Brown Tan by Marissa Carter = Best Fake Tan EVER! I don’t know about you but I love a good fake tan. It just makes me feel really healthy looking and also helps me appear a little bit slimmer which is a great bonus! 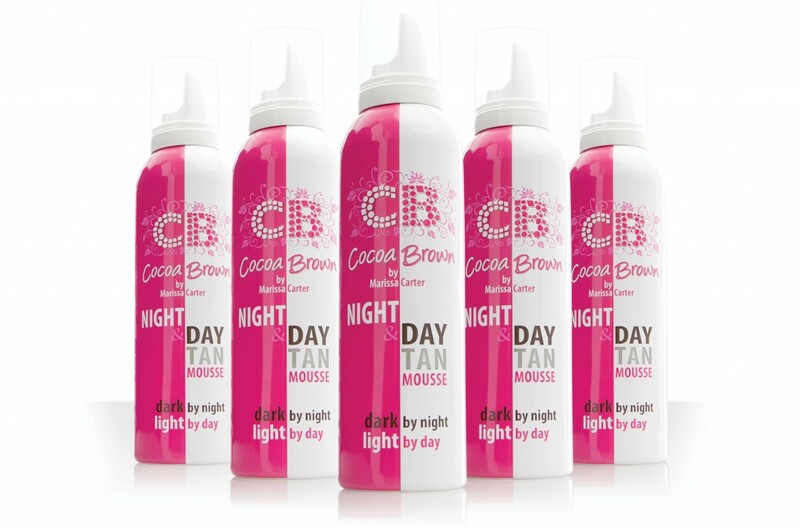 With the weather being so amazing lately I decided to try the latest self tanner from Cocoa Brown by Marissa Carter, which has been getting rave reviews on blogs and beauty sites as well as receiving beauty awards left, right and centre, and it’s easy to see why once you’ve used it. 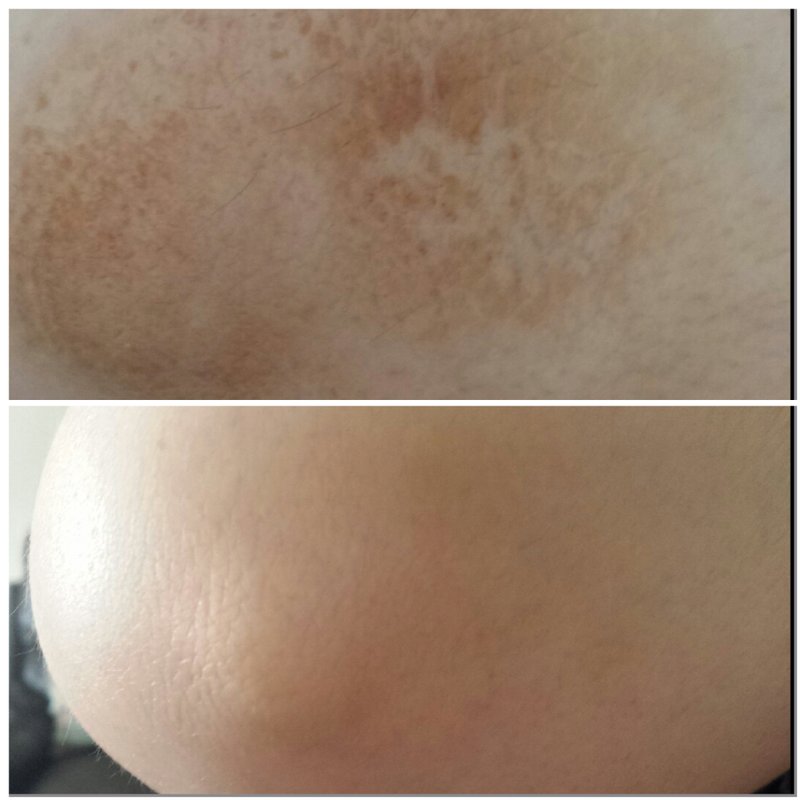 The tan will then last up to 5 days and it fades extremely well and isn’t at all patchy . It gives a lovely deep, even colour and I found the guide colour on this to be great and didn’t bother washing it off, even though you’re supposed to. Also a mousse formula you can use this on a night out if you haven’t had time to apply fake tan the night before or put it on when you get out of bed to last for the day. The guide colour is the best I’ve seen, it’s a really natural beautiful colour by itself and doesn’t leave you looking like you’ve been wrestling in a mud bath! You can wash the guide colour off the next day and still be left with a light glowing tan. Both products are perfect for girls on the go who don’t have time to wait overnight for their tan to develop. This is hands down, the best tanning brand I’ve ever used and I love the results it gives so it gets a huge thumbs up from me and I’d highly advise you to try them out. At €7.99 they are an absolute bargain also. Shave the day before you want to apply your tan as if you do so just before application, it can result in angry red bumps, particularly on your legs and underarms which does not look good! Moisturise the day before you apply tan but leave your skin free from any products or deodorants etc. on the day you want to apply your tan or they will give a patchy result. Top Tip: Some people use a tanning mitt to apply their fake tan but I find using latex gloves much better. They give you greater control of where the colour is going, especially on hands/fingers and feet and you don’t waste as much product. Doing your hands is easy, just take one glove off, apply tan to the glove free hand, wait for that to dry then pop a glove on it and do the same to the other hand. Another thing I love about both products is the smell! It’s not your typical chemical fake tan smell, it actually smells really nice and my husband hasn’t complained about the smell once when I’ve got into bed so it must be good as his smellers are really sensitive!